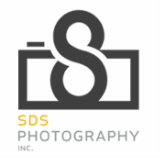 Landscapes & Architecture - SDS Photography, Inc.
A lot of people know of SDS Photography for my Virginia Tech art work. Most of these images are my own style of HDR work. Not everything is HDR but certain images I wanted to look a certain way and that method of post production allowed me to achieve that look. Samples in this portfolio are from the Roanoke and Blacksburg area. Also included are a few samples from St. Croix when I worked as a lighting assistant to the head photographer of the U.S. Virgin Islands project. It was nice to be able to take capture a few images when I had time.